Last year, I got an opportunity to work with the online company called Lens Village to conduct a product review on two of their lenses. Once again, I have received an opportunity to work with Lens Village again and this time around I will be reviewing a vibrant pink lenses. I was really excited to try out these lenses out! 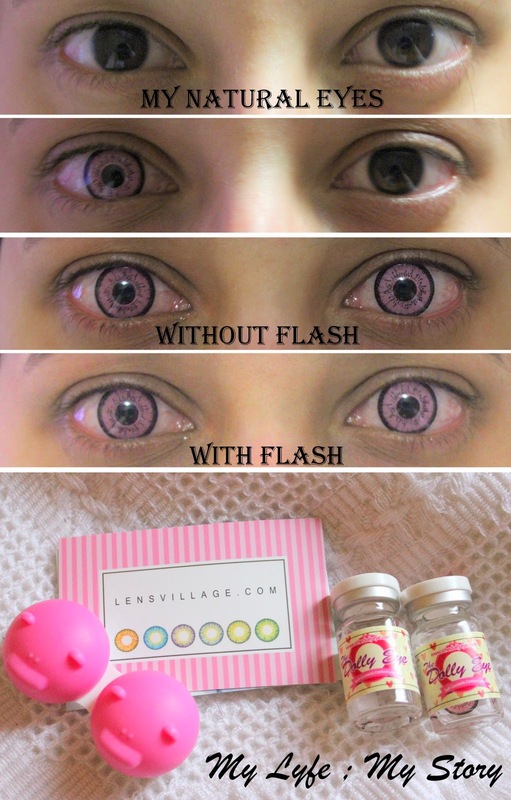 Lens Village (EOS Dolly Eye Pink) Contact Lenses. I have never been a fan of the colour pink, however I decided to a risk this time and decided to review the EOS Dolly Eye Pink lenses. I particular stay away from this colour but I love taking risks. This particular pair is not the daily go to lenses however is you are willing to make a mark; this is definitely a colour for you.. I would definitely be rocking this colour more often, I know for a fact that I won't be wearing this lenses out on a daily basis. But on some special events where I feel like making my mark; theses lenses will be my go to item. The lenses are really comfortable and they doesn't dry out fast like my regular contact lenses. Plus, it comes with a cute animal case, which always attracts me. Furthermore, I would recommend this company and this Lens Village contact lenses to everyone, since I am happy customer and reviewer. Have fun shopping and hope all of you have a fantastic week!! FTC: Lens Village sponsored the (EOS Dolly Eye Pink) for my honest review. I was not compensated to make this entry and this is 100% my honest opinion. 'Time' for her isn't something to fight against. In the month of February, you would have already about the company: DressWe.com. Dresswe.com provides hundreds of dedicated products for global buyers. Our buyers are from the US, Europe, Australia and Asia, totaling to over 230 countries worldwide. We also boast over 10 million product listings from our factory. On Dresswe.com, international buyers can purchase a wide range of products at very low prices. In addition, our customer can also enjoy the custom made items, which may be more suitable for you. 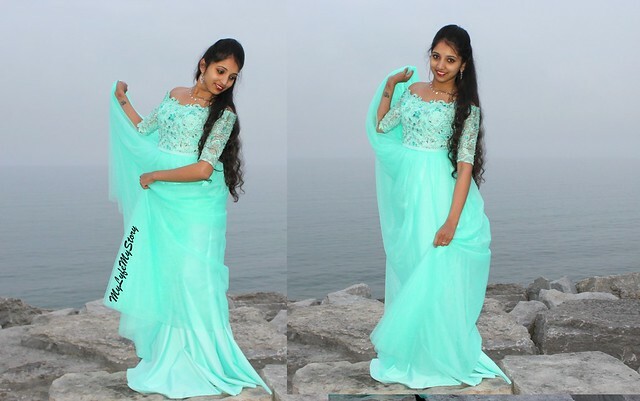 All the dresses we are selling are made from the top quality materials and go through rigorous inspection. We have an Elite team with professional skills and unlimited creativity in dressmaking. 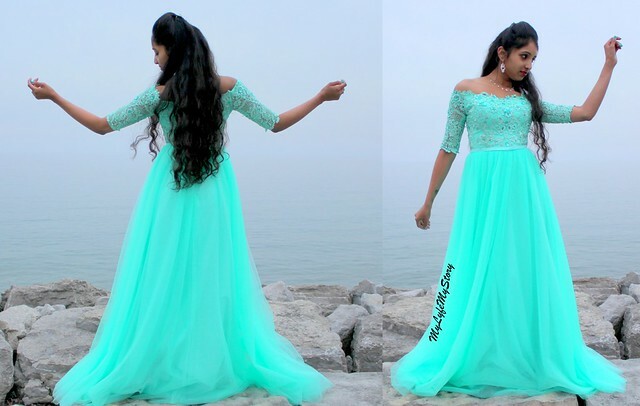 Prom season is fast approaching for those who are looking for the perfect dress to find your inner princess, check out DressWe.com. This is an off-the shoulder dress with floor length hemline. It has an A-Line Silhouette which will compliment all types of body shapes, plus it has a natural waistline (as well as a zipped-up back). This particular dress can be defined to be glamorous, dramatic, chic, modern and elegant. Do you these photos reminded you of your special night? and Uthith Ravi (the Editor). As well as a huge thank you to DressWe for giving me an opportunity to work with them for this "2015 - Prom Series"!